I have been watching lots of HGTV in the winter months. I am fascinated and intrigued by the building and renovation process. So much so that I decided to go into the DIY business and restore/design bird houses. In between making earrings and photography, and other creative projects, I have entered the housing arena. 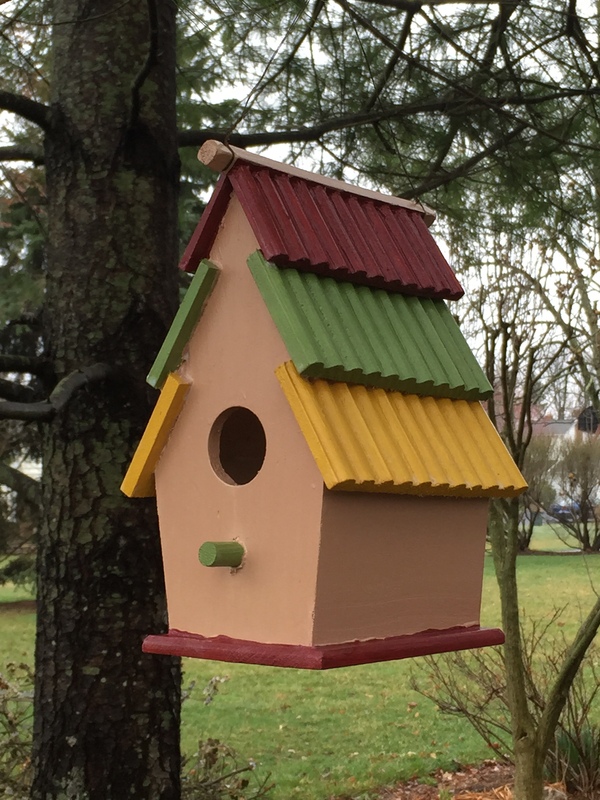 With the proliferation of bird species frequenting my feeders year round, I know there is a demand for residences in our area. The schools are top notch, and the community is very safe. . . except for the occasional raptor marauder. Even then, the Corvid Police Force goes into action and clears the trees and skies. I actually have 5 homes available in the Blue Haven community. Blue Haven is the name bestowed upon the Glessner property by my mom, Dorothy, shortly after we moved in nineteen years ago. Three of those homes are commercial residences, but two are custom designed by the one and only Deborah of “DG”TV. The first is an avant-garde design with bright modern colors and exterior motifs. The round shape is superb for raising young – no sharp corners. The house sits in an evergreen on Yew Street, which overlooks an art-deco glass pool. 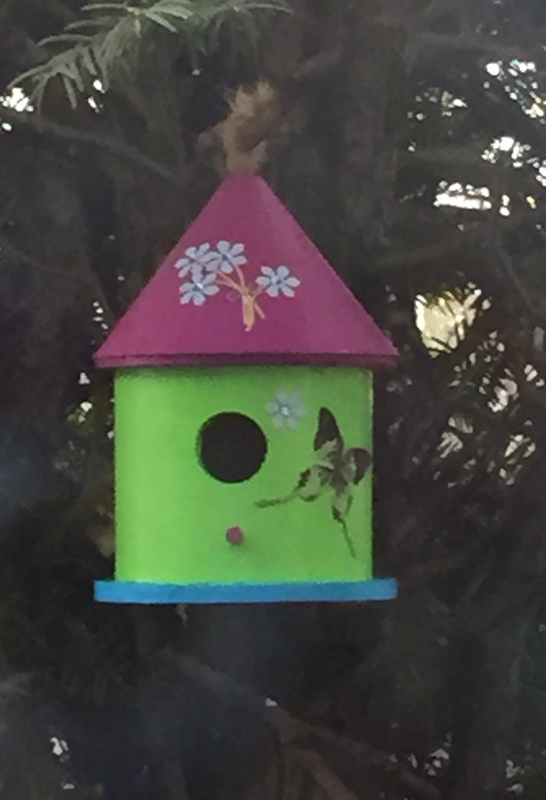 It’s a one-story efficiency with one bedroom and a family room, ideal for a small bird species. The property is listed with Cheep Abodes at 215-FEA-THER. The second is a roomier log cabin style home, two stories, with central air. Its understated design complements the shade garden where it is located. A community pool is available 2 blocks away. A very unique feature of this home is its swinging mechanism, something that mothers love when their young start fussing. This White Pine Drive home will not be on the market long and is listed with Wing & Sons at 215-TWI-TTER. Inquiries are welcomed, and showings can be arranged by appointment.